A new job, a better opportunity, a change in environment, is always exciting. The sad part is the moving along with a 1001 things. Calling for a moving company can do wonders, but they cannot be of help when it comes to all your nitty-gritty details. They take a lot of time and effort, and yes, you have to do them yourself. This blog is an insight of what all needs to be done before you bid a final goodbye to your apartment. Take care of your paperwork ahead of time: Simply because getting all the paperwork done on the day of the move is very tiring and never fun. Along with this ensure that you have verified your lease. You don’t want to leave your old home and find out the clauses, you don’t agree with, or you may have forgotten and then find yourself in a mess. Be realistic with what you pack: You can’t afford to take your entire house when you move out. Please be practical. It is illogical, time-consuming and of course costly. These include things that are worn out, stuff you don’t or won’t be using. Don’t include things you haven’t used in years, and just because you have seen them, you may want to. Simply put, you won’t. 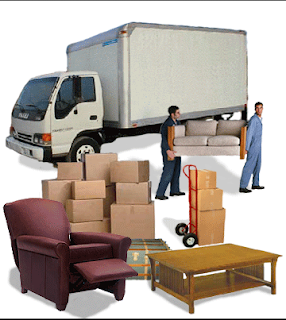 The items that won’t be moved: A moving company is hired to take care of all your needs and requirements; however, they will not transport any dangerous items. For instance, the items that are hazardous, flammable, or explosive. Moreover, no perishable items will be taken either especially if it is a long distance travel. They could get spoil in transit. Most of the movers and packers talk about doing anything and everything that comes with the relocation process. Nonetheless, it is your responsibility to read between the lines and take care of what needs to be done and what can be avoided. Thus, follow the above guidelines when transporting your belongings to have a safer and a happier move.